Our transporters take every bit of care to ensure your goods are delivered safe, and on time. Here are a few things you can also do to make this possible. 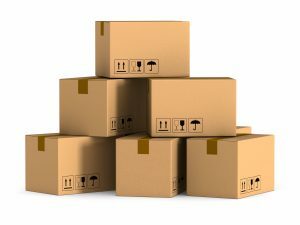 Items are best transported and loaded when they’re stored in cardboard boxes. 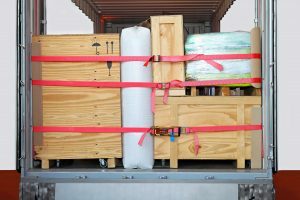 Always pack small items together in a box to ensure ease of lifting and packing in trucks. Try and make sure there is very little room for your belongings to move around in the box during transit. For this you can use loosely scrunched newspapers or packing filler (also known as foam peanuts). Fragile items should always be wrapped in something to protect them. A favourite of the transport industry is bubble wrap. Bubble wrap is widely available and cheap. Wrapping this around your valued possessions increases the likelihood of them arriving at their destination safe and sound. Once again, if you have several small items that are fragile, you should go that extra step and pack them in a box. This ensures that everything is packed together and can be easily stored on the vehicle. Some items will be too big to be stored in a cardboard box. You can still use a cardboard box to protect your items though. Simply cut the box into suitable sizes for you to wrap and tape the cardboard around the transported item. This will reduce the likelihood of scratches and damage to your goods. You can also use bubble wrap in the same way. Just make sure any part of your item, including corners and edges are covered and prevented from being knocked or bumped. Each of our transporters are professionals and take every precaution to protect your items in transit. The above tips are a great way to protect your items and assists your transporter in delivering your goods undamaged. Remember, when you receive a quote on Delivery Quote Compare you can ask the transporter questions on how they will transport your item or how you can package it.